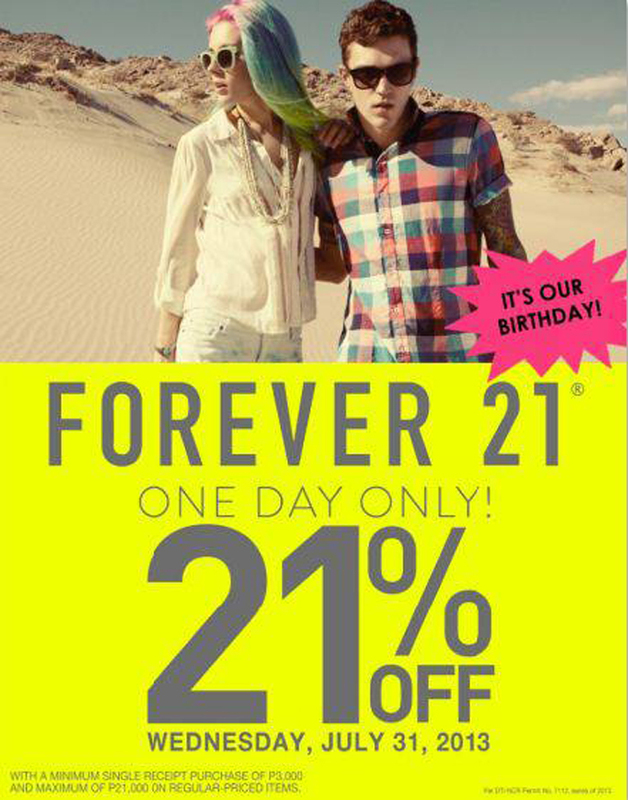 Forever 21 Gives 21% Tomorrow July 31! In celebration of Forever 21's anniversary month (July), they are giving 21% off on all regular priced-items on July 31, Wednesday!! !